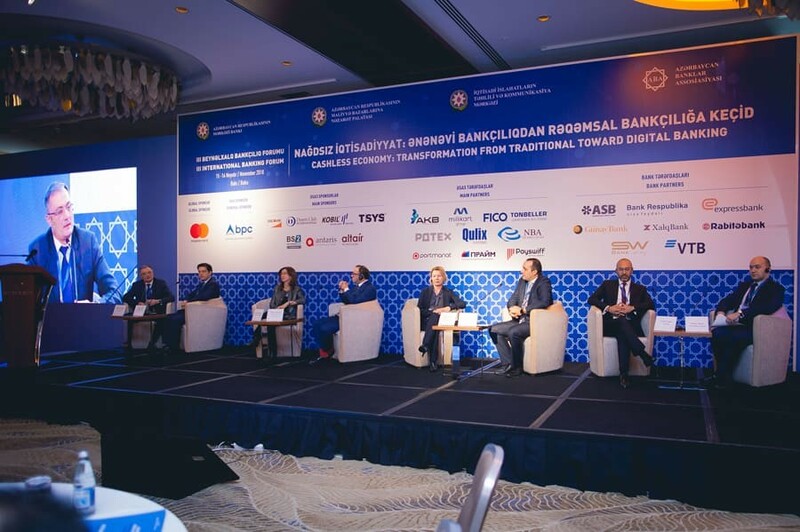 On November 24-25, 2016 the First Banking Forum "Development of banking system in post-oil period: new challenges and perspectives" was held by Azerbaijan Banks Association . 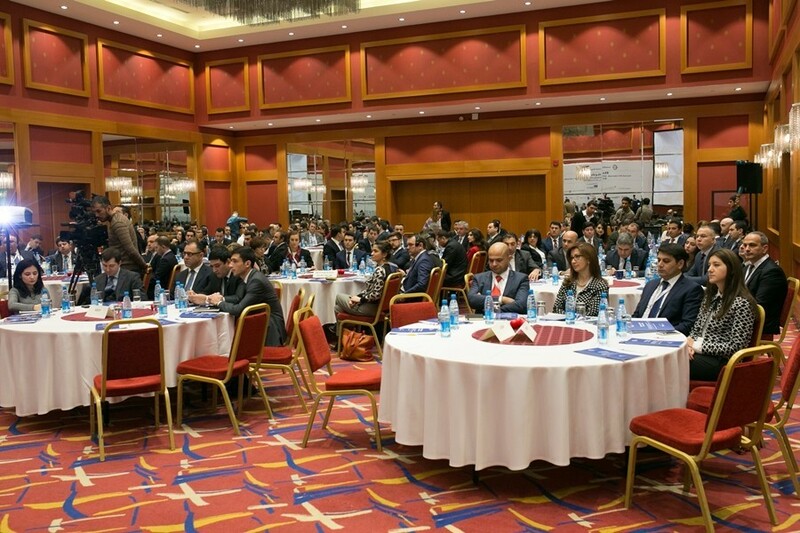 More than 350 people, including senior management of regulatory and supervisory authorities on finance and economy, CEOs of commercial banks, heads of business and public organizations, representatives of international financial institutions and foreign embassies participated at the Forum. Zakir Nuriyev-President of Azerbaijan Banks Association, Vusal Gasimli-Executive Director of Center for Analysis of Economic Reforms and Communication, Rufat Aslanli-Chairman of Board of Directors of Financial Markets Supervisiory Authority, Ziyad Samadzadeh – Chairman of the Standing Commission of the Milli Majlis (Parliament) on Economic Policy, Industry and Entrepreneurship, Shahmar Movsumov- Executive Director of the State Oil Fund made a speech at the Forum. The first discussed theme of the Forum, which was conducted with 4 Panels, was "Challenges of post-oil period: new economic strategy". Within this Panel, there were speeches dealing with the expected reforms in banking and financial sector and in the economy as a whole, new rules applied to banks, new challenges in non-cash settlements, additionally future income and expense policy of the State Oil Fund which is one of the major financial institutions in the country. The another Panel which took part on the first day of the forum was called – "Crisis management and diversification of activities of banks: lessons from world practice". According to this Panel the speeches were about credit guarantee mechanism, management of treasury in times of crisis, the extra opportunities provided by Basel standards in regulation and other issues. 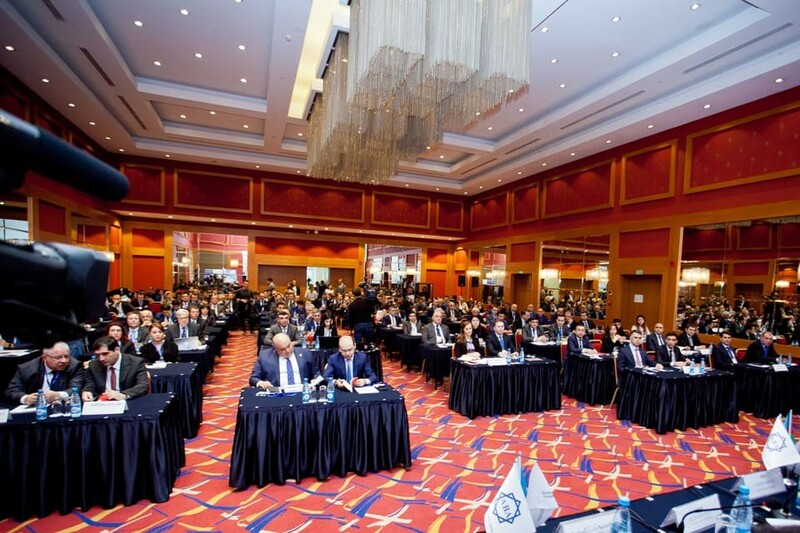 The first Panel of the second day was named "Banks legislation: problems and perspectives". During this Panel the issues about innovations in the sphere of bank legislation and regulations, main problems that arise during jurisprudence, increasing efficiency in the implementation of court decisions in banking activity and influence of value added products of Credit Bureaus were discussed. The latest Panel of the second day was about "Banks of the future: opportunities and risks that come with new technologies". The issues discussed during this Panel were development perspectives of electronic banking, security in the field of IT, technologies that changed in banks and strengthening cyber-security and additionally the practices about the trends risks were shared by foreign experts. At the end, all of the partners – ProgressSoft, Finanzgruppe Sparkassenstiftung Für İnternationale Kooperation, Antaris, YapıKrediBank Azerbaijan, Ziraat Bank, LANDT, Trüb Trading, Growth Trend Partners, Creditinfo and Savings Banks Foundation for International Cooperation (SBFIC) – were thanked for cooperation on behalf of the ABA.